Do you have troublesome discoloration on your face, neck, hands, or another area of your body? Cryotherapy has been used by dermatologists for years. This procedure is intended to cause local cell or tissue destruction of a particular lesion, such as a skin tag or a wart. The CryoCorrect treatment by SkinCeuticals takes the benefits of cryotherapy to new heights with a precise pen applicator that gently freezes away unwanted age spots, sun spots, skin tags, and other imperfections. Ogden Clinic Bountiful Dermatology features the entire line of SkinCeuticals skincare products, along with in-office treatments such as CryoCorrect Precision. 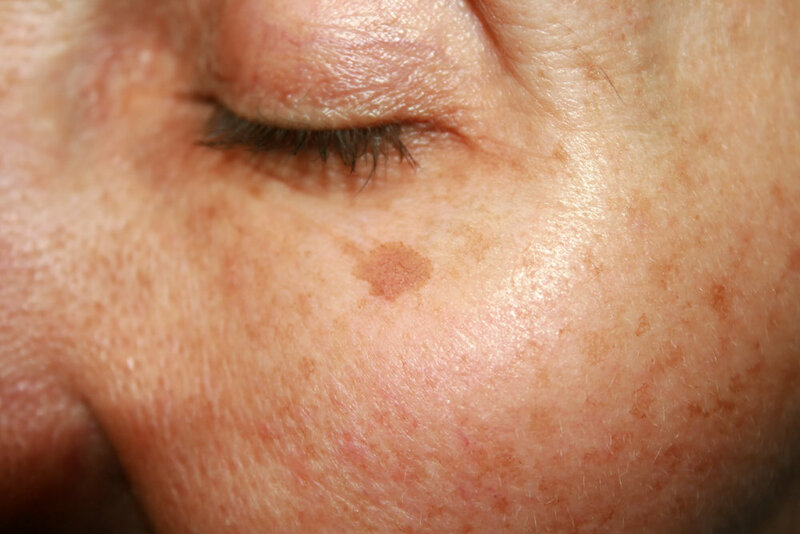 During treatment, age spots, sun spots, and skin tags are removed using a precise flow of carbon dioxide (CO2) which freezes the skin at a milder temperature than traditional cryogens like liquid nitrogen, resulting in a softer, shallower, more comfortable freeze, more likely to leave the surrounding skin intact. CryoCorrect Precision is an in-office treatment performed by a trained aesthetician. Safe and effective, the spot or skin tag is quickly frozen for 5-8 seconds with little to no downtime and minimal discomfort during treatment. The best part: results can be seen in as little as one treatment (although your Ogden Clinic aesthetician my recommend 2-3 for complete removal). To reap the benefits of improved skin for the long haul, consider Skinceuticals sunscreen moisturizer and serum. For long-term results, patients are welcome to use SkinCeuticals topical skincare soon after their treatment. SkinCeuticals Phloretin CF serum has been shown to improve skin smoothness and general appearance of the treated area just one week following your treatment. Additionally, SkinCeuticals Sheer Physical UV Defense SPF 50 moisturizer helps protect skin from future discoloration. These products and others are available in our office for purchase. You don’t have to live with troublesome sun spots, age spots, and discoloration. Give our office a call today to learn about CryoCorrect Precision at Ogden Clinic Dermatology in Bountiful.